Anne Orford is Redmond Barry Distinguished Professor, Michael D Kirby Chair of International Law, and an Australian Laureate Fellow at Melbourne Law School, where she directs the Laureate Program in International Law. 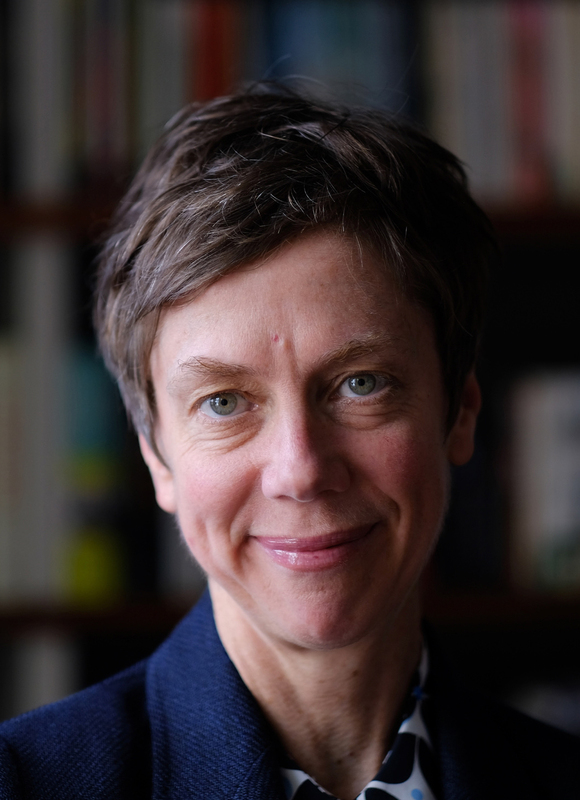 She is an elected Fellow of the Academy of the Social Sciences in Australia, and a past President of the Australian and New Zealand Society of International Law. Her work has been recognised by honorary doctorates of laws awarded by the University of Helsinki (2017), the University of Gothenburg (2012), and Lund University (2012), and by the award of the Kathleen Fitzpatrick Australian Laureate Fellowship by the Australian Research Council (2015-20), a Future Fellowship awarded by the Australian Research Council (2012-15), an Australian Professorial Fellowship awarded by the Australian Research Council (2007-2011), and the Woodward Medal for Excellence in Humanities and Social Sciences awarded by the University of Melbourne (2013). She has held numerous senior visiting positions, including as Raoul Wallenberg Visiting Professor of Human Rights and Humanitarian Law at Lund University, Hedda Andersson Visiting Research Chair in History at Lund University, Visiting Professor at University Paris 1 (Panthéon-Sorbonne), Torgny Segerstedt Visiting Professor at the University of Gothenburg, and Senior Emile Noël Research Fellow at NYU School of Law. Her scholarship combines study of the history and theory of international law, analysis of developments in international legal doctrines and practice, and an engagement with central debates in history, social theory, economics, and philosophy, in order to grasp the changing nature and function of international law and its relation to social, political, and economic transformation. Her publications include International Authority and the Responsibility to Protect (Cambridge University Press 2011), Reading Humanitarian Intervention: Human Rights and the Use of Force in International Law (Cambridge University Press 2003), the edited collection International Law and its Others (Cambridge University Press 2006), and, as co-editor, The Oxford Handbook of the Theory of International Law (Oxford University Press 2016). A collection of her essays in French translation, entitled Pensée Critique et Droit International, is forthcoming with Pedone. Her latest monograph, International Law and the Politics of History, will be published by Cambridge University Press in 2019. Professor Orford has delivered keynote and plenary addresses at annual conferences of the American Society of International Law, the Australian Historical Association, the Australian and New Zealand Society of International Law, the European Society of International Law, the French Society of International Law, the Korean Society of International Law, and the Law and Society Association, and presented her research by invitation to governments, international organizations, nongovernmental organizations, and university audiences in Argentina, Australia, Austria, Belgium, Canada, China, Colombia, Finland, France, Germany, Hungary, India, Israel, Italy, Japan, The Netherlands, New Zealand, Russia, Singapore, South Korea, Sweden, Switzerland, the United Kingdom, and the United States. She is currently directing a major five-year research program at Melbourne Law School funded by the Australian Research Council’s Laureate Fellowship scheme from 2016 to 2020. The Laureate Program in International Law has established a new interdisciplinary research team of scholars in law, the social sciences, and the humanities to work on a major project entitled Civil War, Intervention, and the Transformation of International Law. The Laureate Program combines historical research, legal analysis, and critical theorising to grasp the legal relevance of changing patterns and practices of international intervention, and make sense of the evolving role and responsibility of foreign actors in civil and proxy wars. It brings together leading scholars in international law, global history and international relations, world-class early career researchers, and innovative practitioners to explore the place of international law in contemporary social, economic, and political transformations. A major emphasis of the Laureate Program is on training a new generation of researchers capable of interpreting and responding to developments in international law shaped by the interrelationship of armed conflict, economic integration, environmental crisis, and mass movements of people. Professor Orford is a founding co-convenor of the Annual Junior Faculty Forum for International Law, a collaboration between Melbourne, Nottingham, and New York Universities, which intensively workshops the research of selected junior international law faculty from around the world, and was the founding Director of the Institute for International Law and the Humanities at Melbourne Law School. She has conducted master classes for doctoral and early career researchers at universities in Australia, Canada, Finland, France, Germany, Russia, Sweden, and the UK.